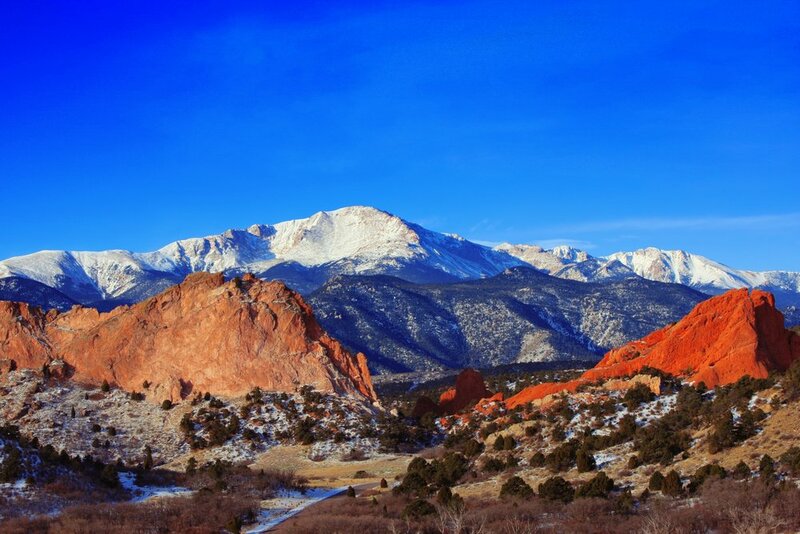 Pikes Peak is a 14,000ft mountain in Colorado Springs and offers a lot of outdoor activities in the area. 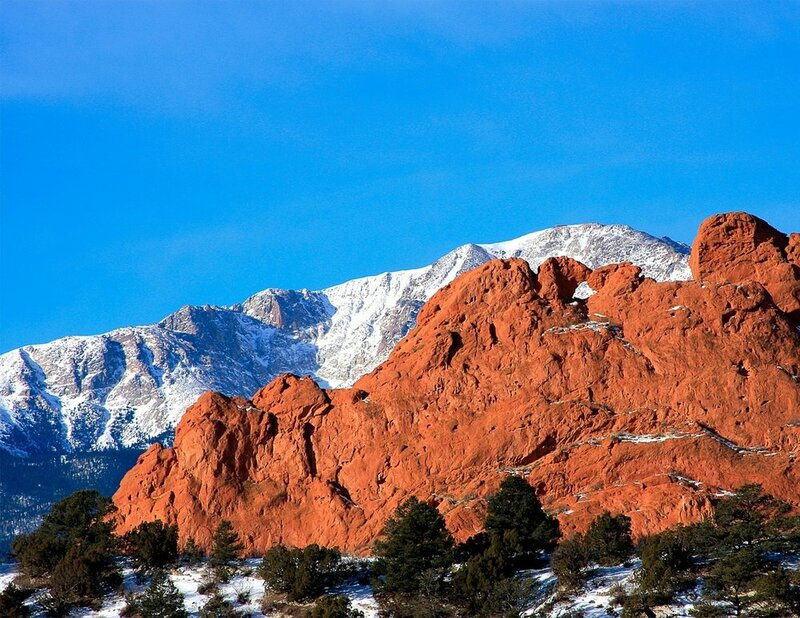 Learn everything about Pikes Peak and the area. Pikes Peak is the tallest mountain that you can see from the city of Colorado Springs it is located just west of Colorado Springs and can be seen almost anywhere in the city. This is one of the most popular attractions that people come to Colorado Springs to see. Pikes Peak is 14,115 feet high and is part of Colorado’s 14ers club. Pikes Peak is named after the settler who found it Zebulon Pike Jr., in 1806. Pikes Peak is the eastern most 14,000 feet mountain in the USA. If you are planning a trip to Colorado Springs you have to check out the top of Pikes Peak. There are three ways to get to the top of Mountain. If you are hiker you have to hike this it is 13 mile Barr Trail hike where you will see some great wildlife and scenery that locals only know about. The second option is taking the Pikes Peak Cog Railway, it is the world’s highest railway. It takes a couple of hours but you will be on top of Pikes Peak in no time. The Final and easiest way is to drive there, you can take the Pikes Peak Highway to the top of the mountain. There are several things to see while driving up. Warning you do have to pay to drive to the summit of Pikes Peak. The Summit of Pikes Peak is above timberline which means it could make it difficult for people to breath at the top of Pikes Peak. So if you have breathing conditions it is recommended that you do not go to the Summit. Once you are at the Peak, you will be able to see a 360 degree view of amazing mountain ranges to the city of Colorado Springs. At the top there is also a souvenirs store where you can buy several souvenirs from what you have seen on Pikes Peak, they also sell warm food if you are looking for a snack. There are several events held on Pikes Peak every year from the Pikes Peak Incline and Ascent ( where runners race up or down the mountain). There is also the Pikes Peak International Hill Climb where professional racers try to get the best time driving up the mountain of Pikes Peak. 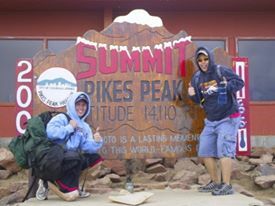 Taking a trip to Pikes Peak is amazing it is great for all ages to get out and enjoy the Colorado Rocky Mountains.